Northern Air Systems attends multiple events through out the year as both an exhibitor and attendee. See below for our list of upcoming events where you can meet with a member of our team. January 12-16 AHR Expo Atlanta, GA Contact us if you would like to meet our President, Tim Confer, at the show! 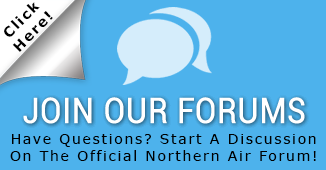 Are you holding an event where you would like Northern Air Systems to attend or speak at? Send us a message, give us the details and we’ll be back in touch as soon as possible!